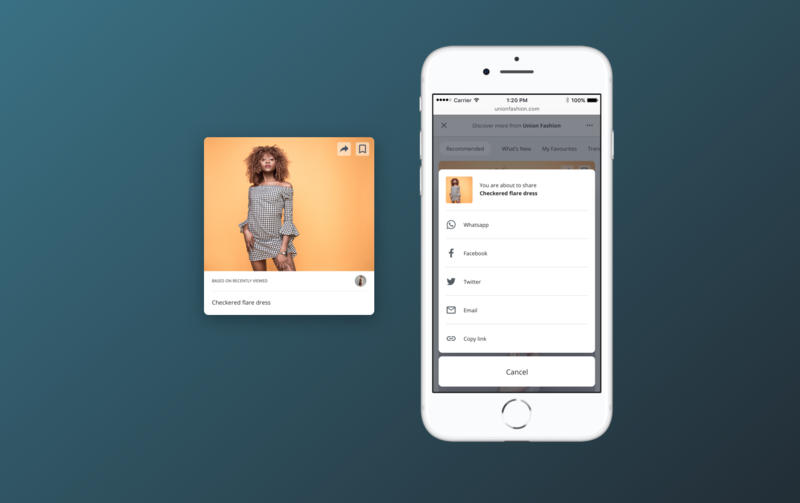 Time is scarce nowadays and spending that precious time searching through product catalogues on your phone can be a frustrating and unfruitful experience. 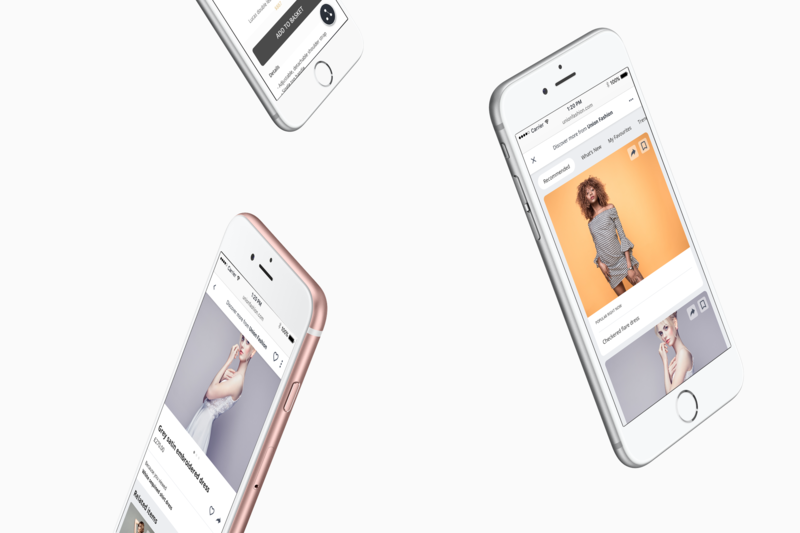 Qubit Aura is designed to ease our suffering by improving the way we discover products on the mobile web through machine learning. This was a fun, meaty project. Aura had been in development for about a year when I started working on it, but we were still looking for the right icon for users to click on to enter Aura. It was something that needed to have its own voice and stand out on a busy screen, but also fit with a variety of brand styles. We did several rounds of research, narrowing our options down each time until we had one that came out on top! We’ve all been there, looking for the perfect outfit for an upcoming event. You find something that might fit the bill but need reassurance so hit share. Commerce is becoming more and more social. Social proof reassures us when we aren’t sure if something’s on trend, reviews tell us other people’s experiences. 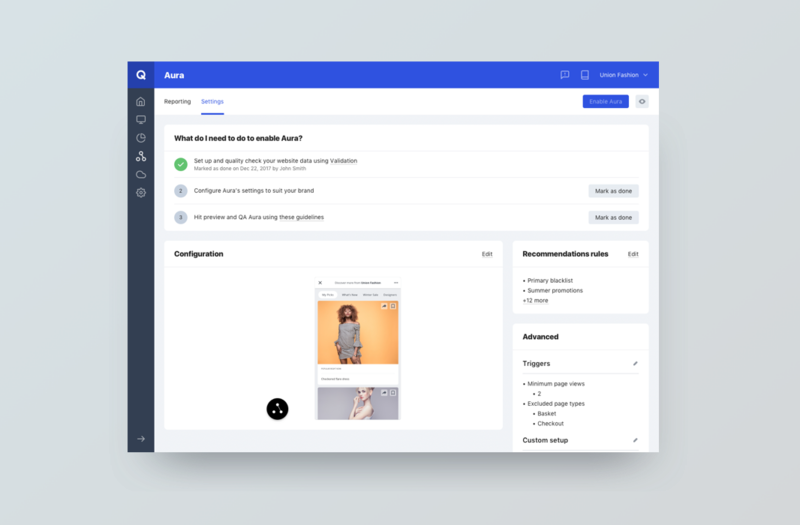 So we started developing Aura’s sharing functionality. This posed some challenges in terms of catering for multiple languages and multiple screen sizes. 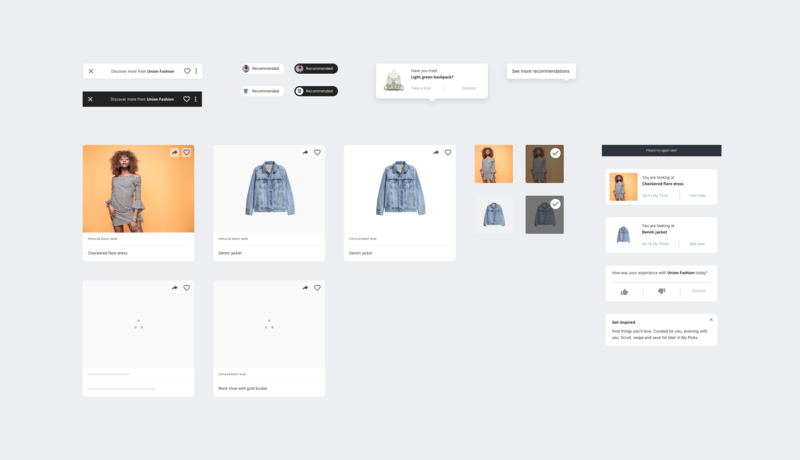 As Aura grew so did its component library, so I spent some time refining the design system, aligning components and creating reusable elements to speed up the design process. Because Aura was a different to anything Qubit had done before the reporting needed to be different too. We had to step away from our traditional measurements and find a whole new way of showing how much value Aura was driving. You can view a more detailed write up about the reporting development here. 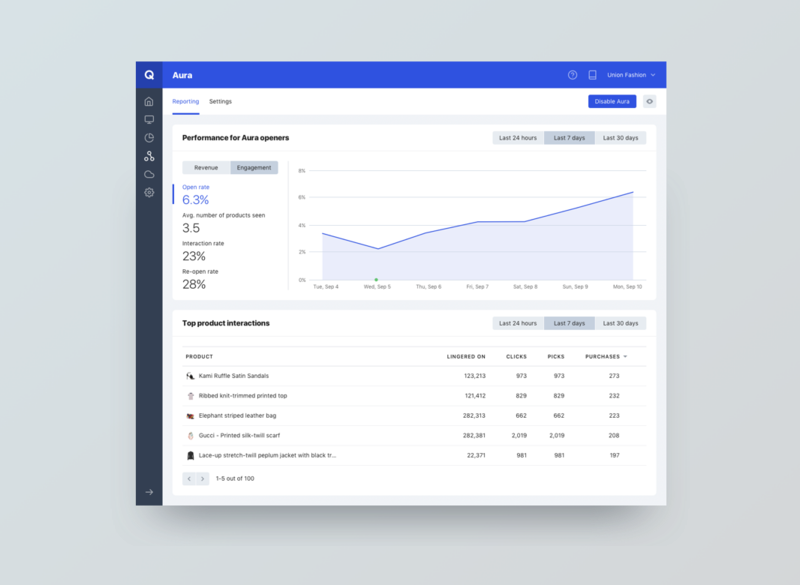 It quickly became clear in alpha and beta testing that Aura needed to have configurable options so that it fitted in with a client’s branding. 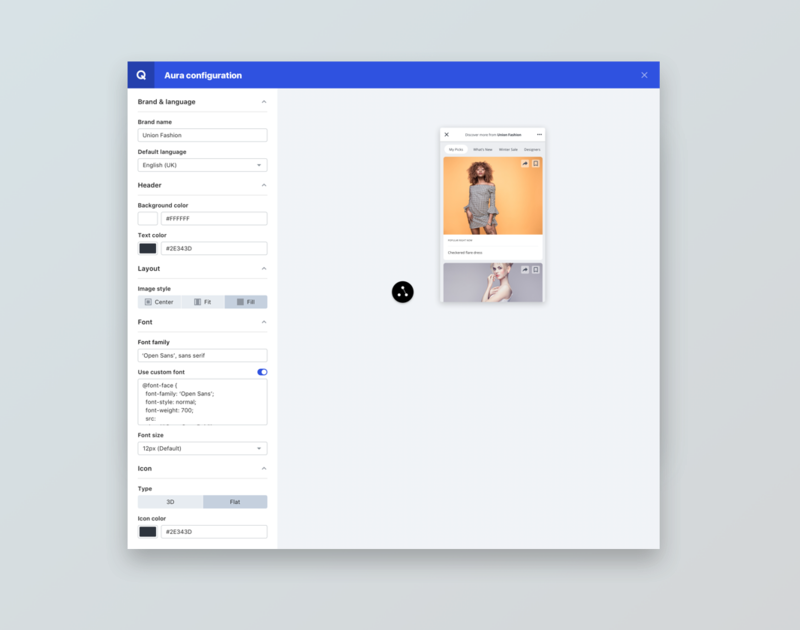 We’re still working on this to give even more control over the Aura experience to the client, whilst keeping the ability to iterate fast and test improvements to the experience for all users.